Prior to last winter the highest ski lift in Austria at the Pitztal Glacier deposited you at 3440m with either jaw dropping views or bitingly cold storms with a view stretching as far as your ski trip. At this height the weather can still be fickle but adding to the staggering views, there is a now a dramatically located top lift station, café and bar. The station clings to the rocky peak and the curved outside walkway offers stunning views over the Wildpsitze (the highest peak in Tirol) and its neighbouring peaks. 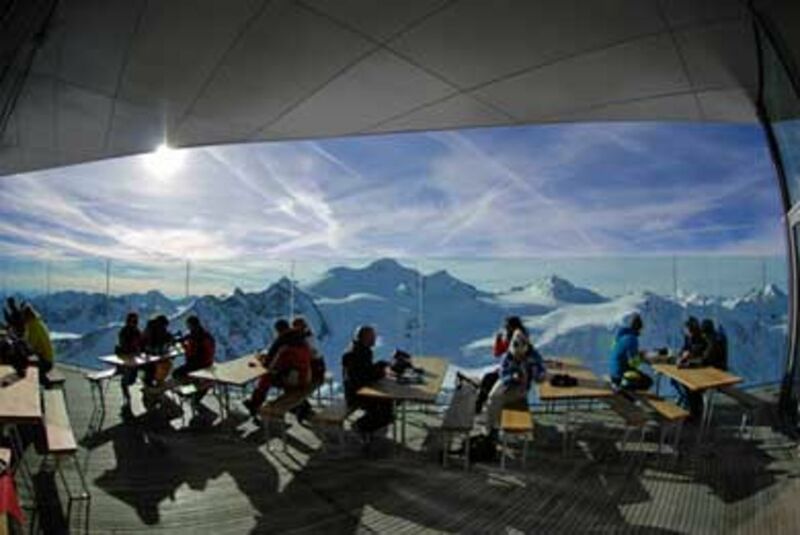 The café and bar are officially the highest in Austria and as well as eating at this cloud splitting height many sit on the terrace and enjoy a beer or wine – thus making it the highest bar in Austria. It is an extremely special place to enjoy a fine Austrian beer.